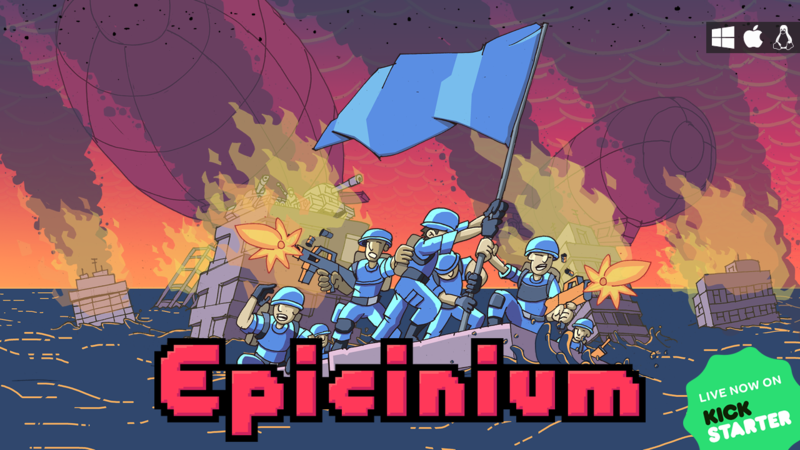 Epicinium is a strategy wargame where nature is a finite resource. Is it worth winning a war when you end up conquering nothing but dirt and ash? Now live on Kickstarter! If you want to stay up-to-date with the latest developments and events regarding Epicinium, you can sign up to our mailinglist via the website. Nah, just kidding. Thanks for the follow, Armcoon! :-D I hope you enjoy the game. Please let us know what you think, we're always looking for feedback. Er~Currently my problem is nobody online at my country timeline. :/ So have singleplayer skirmisher at future update? We already have online singleplayer against AI. Just start a lobby and click on the "+" icon in the player list to add an AI opponent. There are three AIs at the moment: TutorialTurtle (passive), QuickQuack (aggressive with only riflemen) and HungryHippo (aggressive with a variety of units), and three different difficulty settings. Good luck! Yes, we plan to add an offline versus AI mode and possibly singleplayer maps, but for now we're focussing on online multiplayer.